Height adjustable workstations or sit and stand desks are now becoming more and more prolific in Sydney office fit outs. A few years ago an employee could only make minor height adjustments to suit their body in the seated position. These days however the trend is moving more to giving people the ability to sit and stand whilst working. They Perceived improvements in productivity from working while standing. There are many sit and stand systems on the market, from manual crank handles to electric motors. If you are interested in seeing how a height adjustable system might work in your office we would be happy to discuss the options with you. 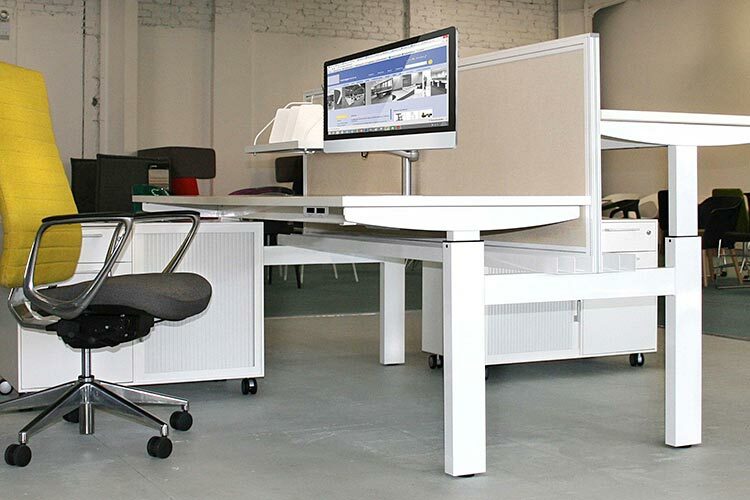 Contact us today for a free quote for your sit and stand desks.